These presentation slides 36071 are complete compatible with Google Slides. Simple download PPTX and open the template in Google Slides. 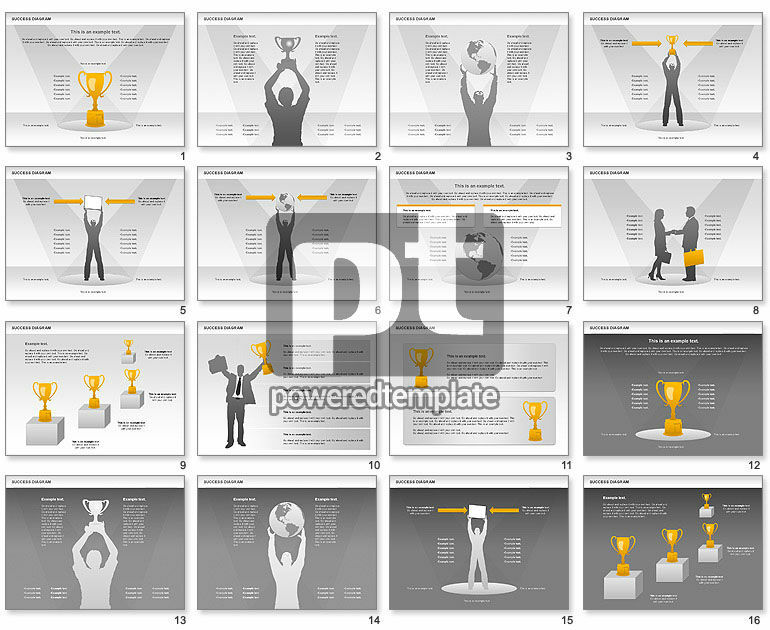 Success diagram with goblet and human shapes will be ideal for presentations on success, winning, winner, championship, etc.